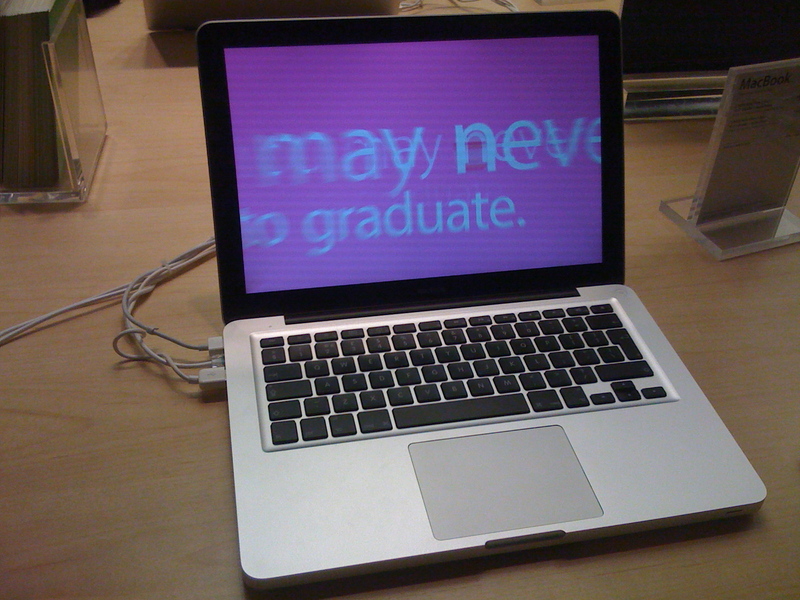 Apple recently announced some brand new notebooks on the market. These being the new MacBook and new 15″ MacBook Pro. So I thought it would be time to check out the new notebooks for myself as I popped down to visit no other than the Apple Store in Regent Street! These are really great looking notebooks and they run pretty fast thanks to the new NVidia graphics built in! What do you think of the new notebooks? Are you thinking of getting one? Let me know! Yesterday, Apple announced brand new notebooks to replace some of their current models (well, no longer current). 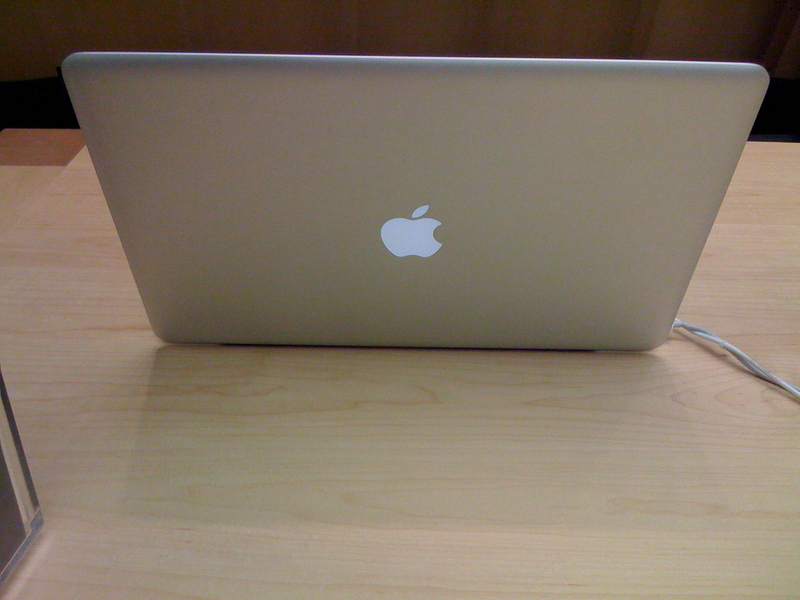 The first was the new Macbook Pro, with new design and a smooth glass multi-touch trackpad. In addition to this, there is a brand new graphics card, the NVidia 9400M plus 9600M GT which provides extra high graphics although you have to switch between the two. The design is new using one solid piece of aluminum as its enclosure, the screen is ultra thin and features a backlit 15″ LCD display given rich colour. The smooth glass multi-touch trackpad allows you perform multi touch gestures plus the trackpad is the button itself! And the price is of reasonable cost starting from £1,399. Next Apple announced a revision to the MacBook Air with better graphics and huge capacity too starting from £1,299. The solid state drive version sports a huge 128Gb capacity bringing it to £1,799. This however will be out in November. Finally, the MacBook has been a very popular notebook. 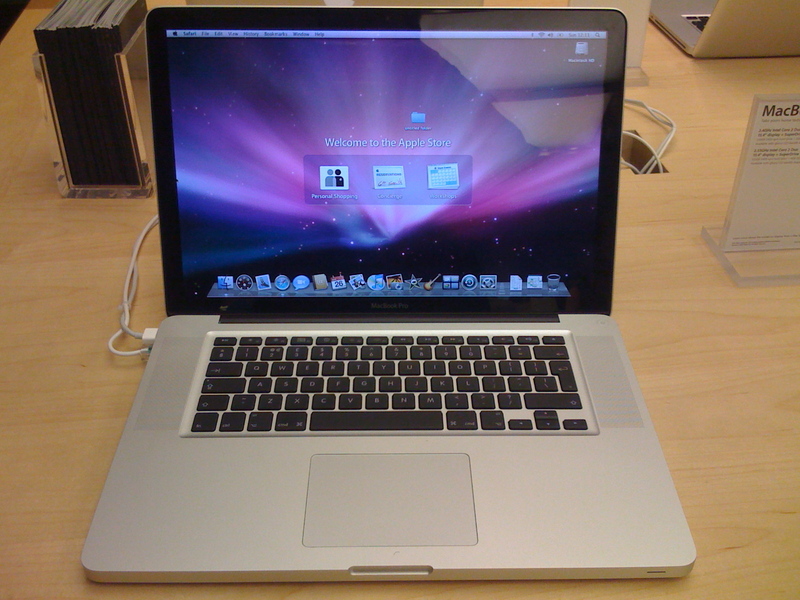 During its time, it has had minor revisions including hard disk capacities and faster processor speeds, but now it has been given a total redesigned resembling the MacBook Pro only smaller at 13″ LCD display and sporting NVidia 9400M graphics making a faster performance machine at a good price. The lowest model of this type costs £949. However, Apple have a even cheaper white model costing £719 which now contains a Superdrive as standard and a faster processor. All in all, it is a huge improvement from the last time and certain a good time to buy a portable Mac if you haven’t already bought one! What do you think of the new Mac notebooks? Let me know!